Mary Rogers Brown, 77, passed away on August 29, 2018 of renal failure, at Hospice House in Tallahassee, with her daughter, brothers and sisters-in-law present. Mary Janice Rogers was born at home on June 1, 1941 in Tallahassee, FL. She attended grade school in Leon County and graduated with the Leon High School class of 1959. 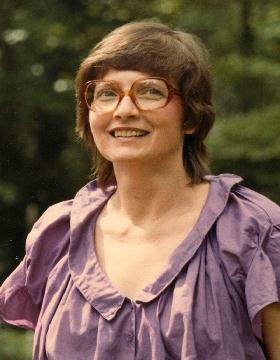 She received a bachelor’s degree in Art Education with a minor in ceramic glazes in 1963, and a Master’s Degree in Special Education in 1975 from FSU. Mary was an elementary school art teacher in Miami, FL and taught ceramics for adults and children at Lemoyne Arts for many years. She was a avid supporter of Lemoyne Arts from its earliest days. Mary was also Supervisor of the Florida Department of Developmental Services Program Office where she was a strong advocate for persons with disabilities. “Our clay class at the Senior Center will miss being with her to "pat and squeeze" the unique hand built clay pieces she loved to make!” says ceramics classmate Debby Rios. Mary’s daughter, grandchildren and great grandchildren were the joy of her life. She enjoyed making and teaching ceramics, gardening, knitting, caring for her cats and inspiring others to create art. Mary faced a series of daunting medical challenges most of her adult life, always accepting a new situation with her characteristic grace, optimism, courage and humor. Her strength, determination and bright outlook were an inspiration to her family and friends. A celebration of Mary’s life is being planned for a later time. Memorial contributions may be made to Lemoyne Arts or Big Bend Hospice.